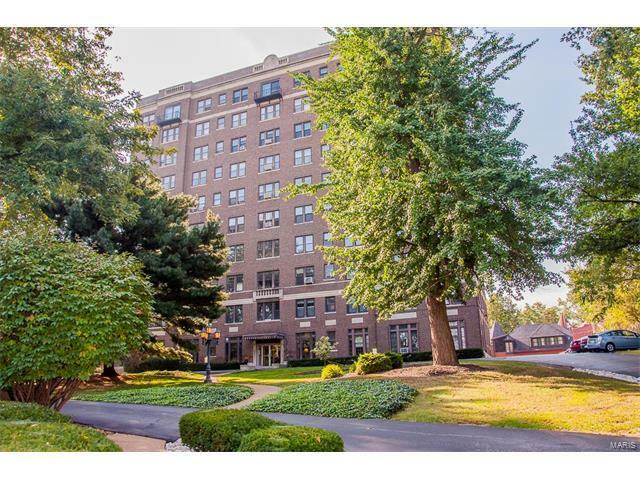 Updated 3rd floor condo in the Adlon in Compton Heights with plenty of historic charm! This unit features wood floors, historic trim and casing, and a south view from the 2nd floor. Brand new kitchen has gas stove, New 42 in cabinets, granite counter tops, microwave, plus a pantry. The Adlon faces the historic Compton Hill Water Tower and the park directly across the street. Building features a secure lobby, driveway and guest parking, and elevator access to all floors, common meeting space, storage, and laundry on the main floor. Walkable location several blocks to Tower Grove Park and restaurants on S Grand, SLU Med, and hospital. Neighbor to the west is the historic Magic Chef Mansion which attracts people from all over the region for tours and events. This would make a fantastic 2nd home for someone who wants a taste of city living! Has been used as a rental in the past. Condo fee applies and includes heat, hot water, sewer, water bills.